The Jurassic Coast in Dorset and East Devon was the first ever site to be inscribed as a ‘natural’ World Heritage Site. It spans 153 km (95 miles) of dramatic coastline all the way from East Devon to Dorset and finds includes a range of world-renowned fossils. What makes this coast so special is the way its cliff exposures provide an almost continuous geological ‘walk through time’ spanning the Triassic, Jurassic and Cretaceous periods – it’s like a time capsule holding 185 million years of the Earth’s history. The area’s important fossil sites and classic coastal geomorphologic features have contributed to the study of earth sciences for over 300 years. All along the coast, you’ll find picturesque seaside ‘Gateway’ towns and villages, which have lots of accommodation, places to eat and local attractions and events. Designated Gateway towns offer a range of services directly related to the conservation of the Jurassic coast and are all destinations in themselves. Wareham – dating back over 2,000 years, King Alfred the Great built huge earthen walls around Wareham to defend the town against the Vikings. You can still see their remains and a visit here will transport you back to Saxon times. Swanage – popular with families, an award-winning beach, safe bathing, lots of leisure activities and all-weather attractions, family entertainment and fabulous views across to the Needles on the Isle of Wight. Weymouth – you’ll find everything from rich historic buildings and a Georgian seafront, to a modern town centre, traditional pubs and contemporary bars and restaurants. Weymouth also has the best sunshine record in England, even in winter. Portland – this is a fascinating island that can only be explored on foot. An excellent network of coastal and cross-island pathways gives you access to a huge variety of island features, and of course some stunning views. West Bay – this is a busy harbour village nestled between the spectacular cliffs to the east and the west. The characteristic 19th- century seafront led West Bay to be chosen as the shoot location for popular British TV drama Harbour Lights. 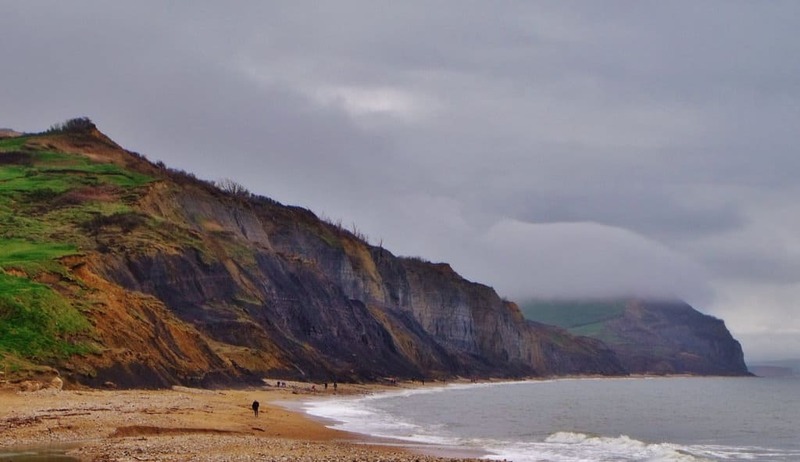 Charmouth – one of the main gateway to the Jurassic Coast and one of England’s oldest resorts. Features 2 miles of golden-sandy beaches and all the seaside favourites like swimming, crazy golf, playgrounds, sailing, watering skiing and more. Lyme Regis – this is a cute seaside town set in an area of outstanding natural beauty, where Dorset meets Devon. Explore its narrow tangle of streets and shops that find their way to the famous 13th-century Cobb harbour. 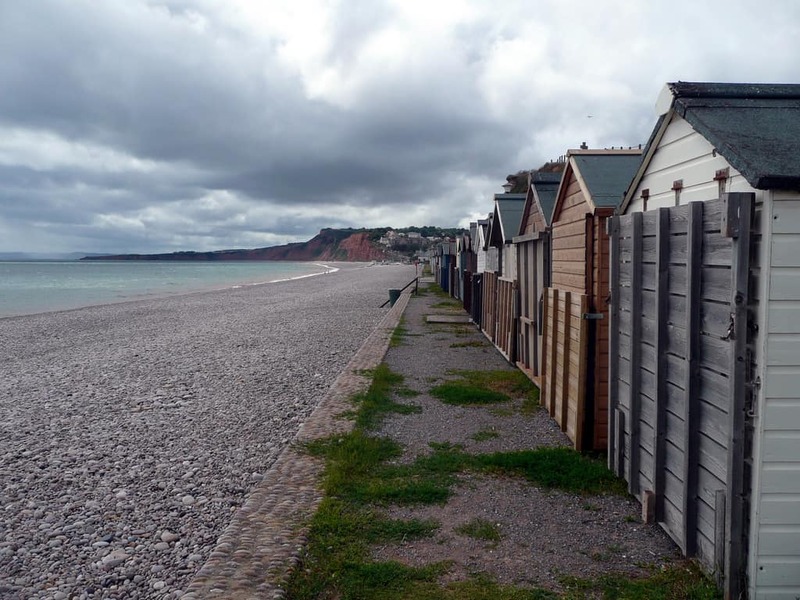 Seaton – this beach town is tucked away in the southeastern corner of Devon in the unspoilt Axe Valley. Excellent for all water sports and has a unique tramway running along the estuary and inland. Beer – once famous for smuggling, the harbour is a natural cove, a sheltered suntrap with a shingle beach nestling below the white chalk cliffs. Village history revolves around the Quarry caves which were used since Roman times and you can now explore. Sidmouth – retains its old world charm with beautiful gardens, picturesque walks, Regency history and immaculate beaches. Visit in the summer for the world-famous International Folk Festival. Budleigh Salterton – a lazy seaside town full of picturesque cottages and historic artefacts and nestles on the edge of a pebble beach beneath spectacular red cliffs. 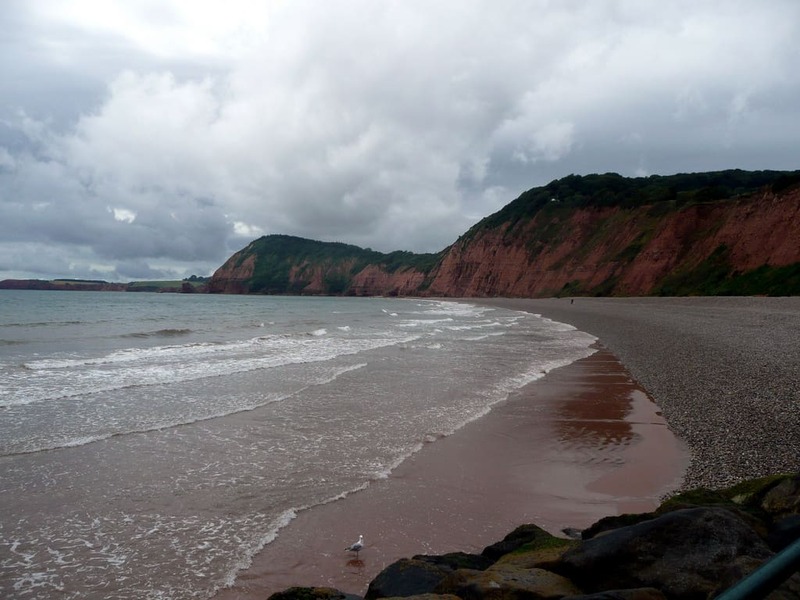 Exmouth – this is the best place on the coast to go hunting for fossils. The large shingle beach and the Heritage Coast Centre on the seafront are great if you’re interested in fossils and local natural history. If you enjoyed this post, you might also be interested in our guide to the best beaches in Devon and Dorset. What are your favourites spots on the Jurassic Coast? We would be delighted to hear your comments.